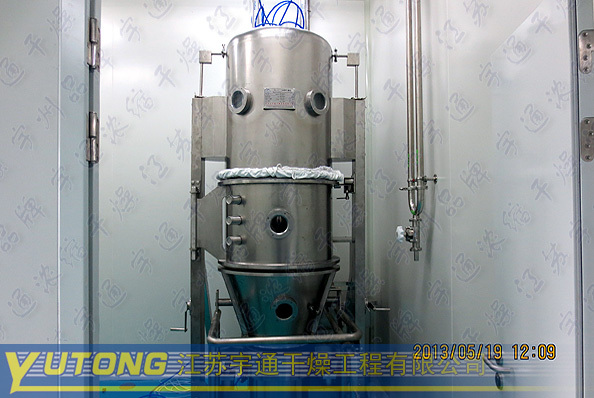 The powdery materials is in fluidizing state in the container. It is first heated and mixed by filtered hot air. Then the powder combines with atomizing adhesive solution. After that, the prototype of granule is formed. The moisture in granules is evaporated, as hot air constantly heats the granules. The adhesive is also solidified in the process of drying. The repeated drying process finally contributes to the microporous spherical granules. 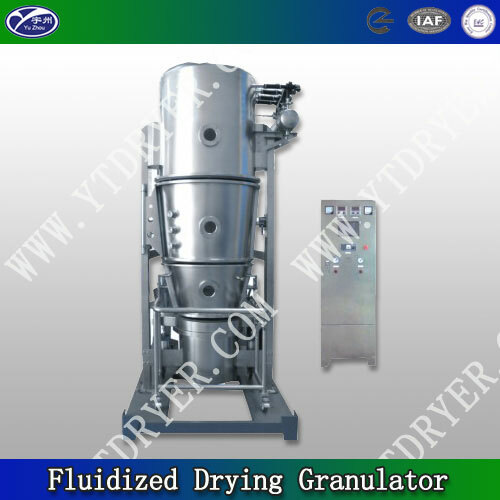 The fluidized drying granulator can be used to make tables, instant herbal medicine and capsule in pharmaceutical industry, cocoa, coffee, milk powder, fruit granules and flavoring in food industry, and agricultural pesticide, feedstuff, fertilizers, pigments and dyestuff in other industries. 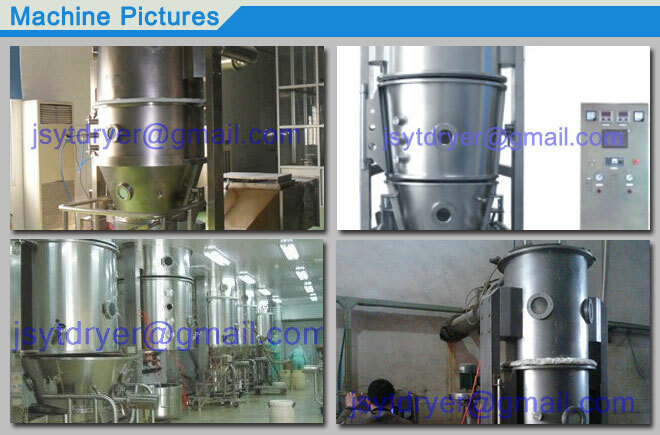 It is also suitable for drying of wet powder materials or wet particles. 1. 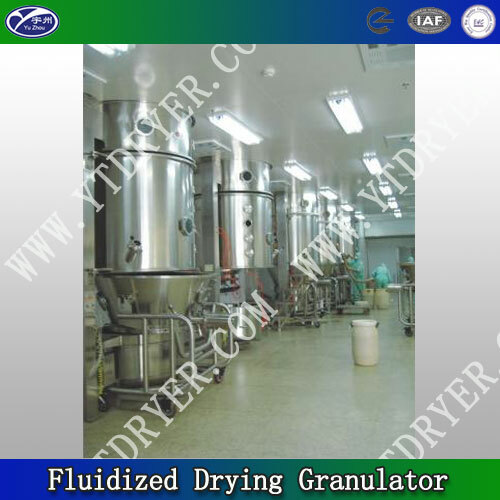 Granules made by our fluidized drying granulator have good dissolvability and fluidity. So there is no dust pollution. 2. It has functions of mixing, drying and granulation. 3. 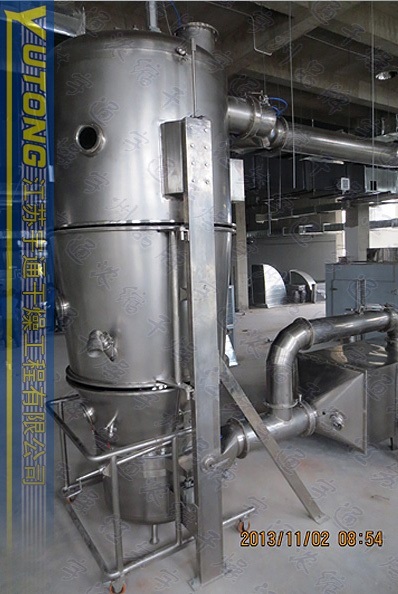 Anti-static electricity filter cloth is adopted to make the fluidized drying granulator safe to use. 4. Pressure bleeder hole is designed for security. 5. It features easy charging and discharging of materials, and it is also easy to clean. 6. 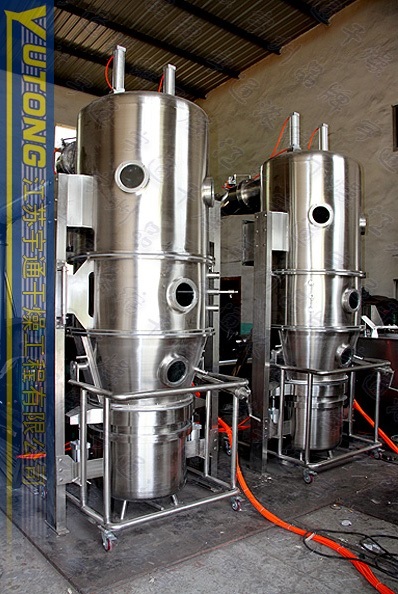 Our fluidized drying granulator conforms to the standards of GMP. Looking for ideal Lead Metaborate Dryer Manufacturer & supplier ? We have a wide selection at great prices to help you get creative. 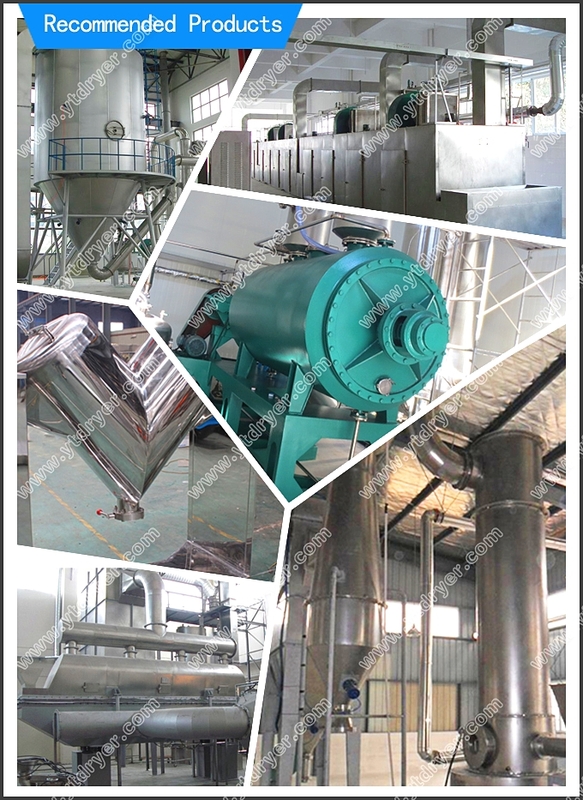 All the Lead Metaborate Drying Machine are quality guaranteed. 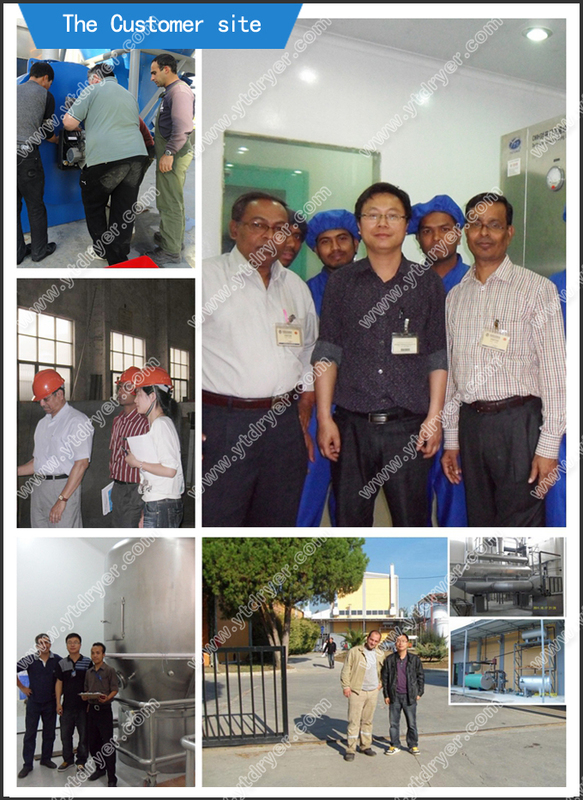 We are China Origin Factory of Lead Metaborate Drying Equipment. If you have any question, please feel free to contact us.